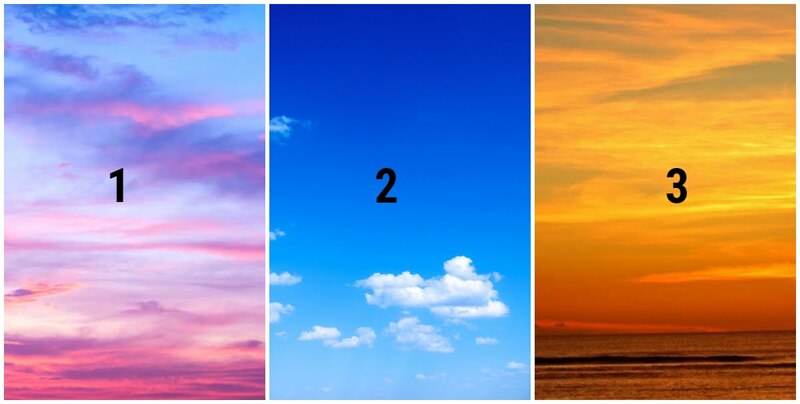 Choose The Sky That You Like The Most And Read An Interesting Description Of Your Character! Choose one sky and read an interesting description of your character. You are a creative person. You reject stereotypes and prefer to do everything in your own way. You make non-standard decisions. Surround yourself with charming and charismatic people. Sharing your ideas with them will be very useful for you! Believe in yourself and turn your creative thoughts into reality! You are a patient person. You don't give up easily. That's not your style to give up on a business and say "It's hard for me to do." You will methodically move to the intended goal step by step and will not stop until you reach what you wanted. Due to these qualities, you are an excellent pro. You are a great leader. You have analytical and critical thinking. Your opinions are rational and logical. Thanks to that, people will follow you. You are very energized. You have a gift to inspire people. If you direct your energies with the right way, you will be very successful and happy in life.